When selling your house, things can get expensive quickly. That said, there are some ways you can save money when trying to sell your house in Knoxville area. In our latest post, we will explore ways you can save money on the sale of your house in the TN area! 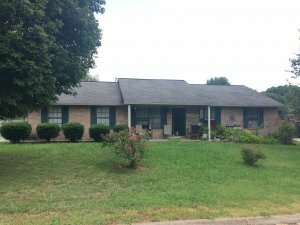 When we buy houses Knoxville, every dollar counts. There are common things you can avoid as well as alternate selling methods that can ultimately leave you with more cash in the long run. Before you commit to a listing agreement, learn more about what a direct sale can do for you! Keep reading to learn more! Selling your home without making repairs can save you a fortune. Many times, homeowners will make repairs before putting their homes on the MLS in order to make it competitive with others on the market. Once a buyer is found, additional repairs will often be negotiated after the appraisal and inspection process. From there, repair costs can snowball, often turning into expenses far greater than you had originally planned for. When you work with cash home buyers near me, your property won’t be subject to repair costs, inspections, or appraisals. You will be able to save money and sell the property without any additional costs to worry about. There are no surprise fees or hidden costs that you aren’t prepared for. In addition, you won’t ever be asked to clean up the property. We will handle everything from the cleaning to the repairs to the upgrades. With our simple selling process, you’ll be able to sell you’r Knoxville house without any work, cost, or hassle. By skipping the middle-man, you will be able to keep 6%+ of the final sale price in your pocket. A direct sale t East Tennessee Home Buyers LLC will never require you to pay any commissions or fees. There is never any sort of cost for our services. While some agents are worth their weight in gold, for others, paying the commission can equate to thousands of dollars down the drain. 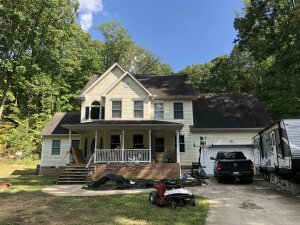 When you choose to sell your home directly to a company such as East Tennessee Home Buyers LLC, you will be able to save time and money while avoiding the runaround you might get when trying to sell your house the traditional way. Not all agents are bad, but for some properties in Knoxville, a fast and direct sale is the more efficient and profitable way to go. For every day that you are listed as the owner, you will incur costs. Utilities, taxes, insurance, a mortgage, and maintenance costs add up quickly. Depending on the property, holding costs can add up to thousands of dollars. As any real estate investor will tell you, the faster you are able to close, the more money you will be able to keep in your pocket. Holding costs can quickly make your projected profits fade away into nothing. Listing your home on the MLS and successfully selling can take months. However, when you sell your house directly to East Tennessee Home Buyers LLC, we will likely be able to close in only a matter of days, potentially saving you thousands of dollars along the way. As you can see from the tips above, selling your home directly to a professional buyer is a great way to save money and sell quickly. 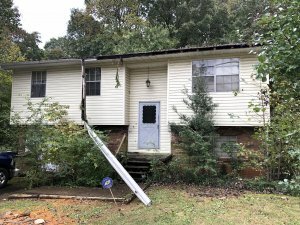 At East Tennessee Home Buyers LLC we have the funds in place to buy immediately, so you never have to worry about the sale falling through due to a low-appraisal. From day one, you’ll know how much you’re getting and what day we can close. In fact, we will close on your schedule so you can plan ahead and know what to expect. Selling a home in Knoxville doesn’t have to feel challenging or expensive. By working with East Tennessee Home Buyers LLC, selling a house in Knoxville has never been easier.